Busy families, especially those with children, see their hot water bills rise year after year. Fuel costs are getting higher, so it’s time to start thinking about fuel that comes to us for free - from the sun. Worried we don’t get enough sun in Ireland? Don’t be. We get enough for you to save 70% on your hot water bills for the year! All you need are solar panels and a reputable installer. 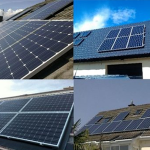 Cork’s Choice for Solar Panel Installation, Clean Energy Ireland, has emerged as Cork’s largest and first choice when it comes to installing solar panels for busy families. 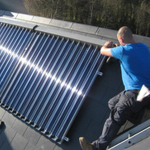 Based near Ballincollig, Clean Energy Ireland, can install a solar panel water heating system for you that will save you money on your annual hot water needs, reducing your costs and your carbon footprint. Solar panels save people 70% of the cost of their hot water for the year, so they are a terrific investment; pay for themselves within a couple of years and best of all-there’s a €1250 grant available. Don't take our word for it, see what our customer say. 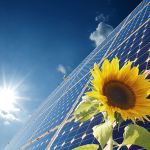 Solar panels work by capturing the sun’s heat, which is free energy, and using it to heat up the water in your home. Heating water is the second largest use of energy in Irish homes, so solar power is a smart way of saving money; reducing fossil fuel consumption and becoming leaner, cleaner and greener. The solar panels are fitted to the roof of your house; they efficiently absorb the light and heat from the sun (yes, even on cloudy days!). A highly efficient, factory-insulated water cylinder is installed in your hot press and can be tied into your existing heating system. An anti-freeze fluid is pumped from the cylinder up and around the solar panels; gets heated in the panels and then returns to your hot water cylinder, heating your water. We have customers in the counties: Cork. Clare, Tipperary, Laois, Waterford, Kerry, Limerick. Wexford, Kildare, Dublin. 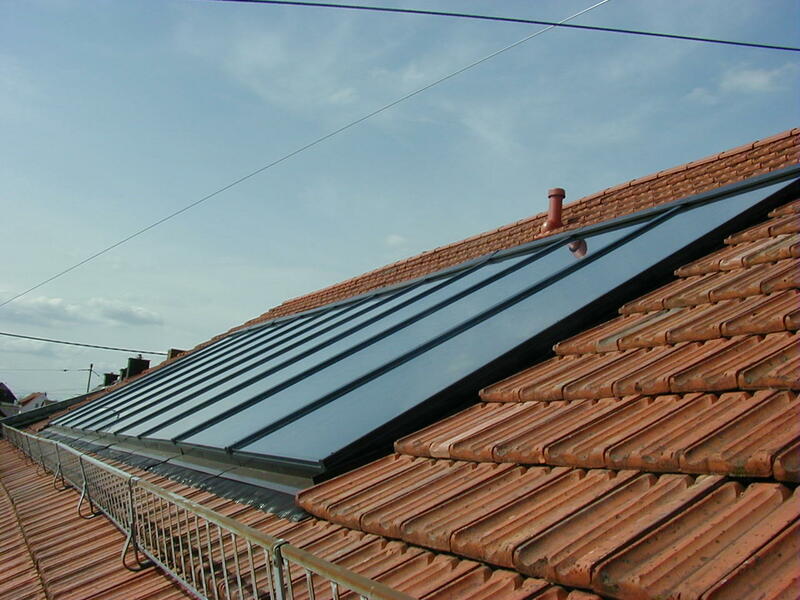 Solar Panels are most effective between March and October, but you will have hot water all year round. In the Spring, Summer and Autumn, the solar panels heat up to 90% of your hot water; in Winter they’ll pre-heat the water so that your existing heating system only has to top up the water to the required temperature. This means that whether you have an immersion, oil or gas central heating, it doesn't have to work as hard and so you save money. Solar Panels Work well in our Irish climate even with our unpredictable weather and cloudy days, Ireland gets the same amount of sunlight as parts of Central Europe, making it completely suitable for solar panels. Even if the sky is overcast, an efficient solar system means the free energy from the sun will heat your hot water cheaply and effectively.